When using the TOPS Knives Quick Skin, it's all about the belly of the blade. 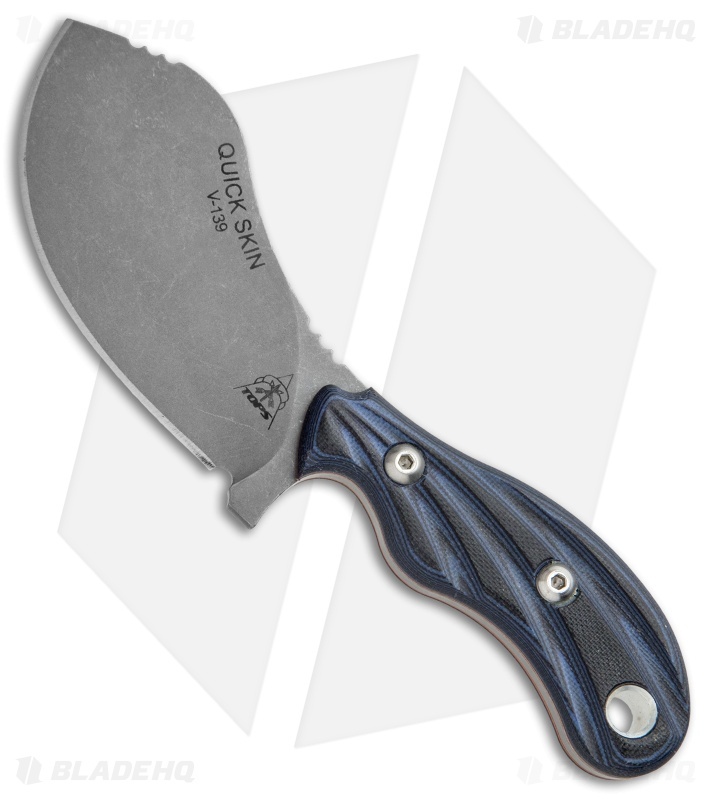 This fixed blade is an efficient skinner, and has been named accordingly. 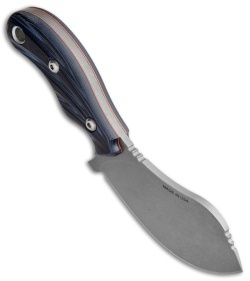 The durable 1095 "all-belly" carbon steel blade features a tumbled finish with a clear Cerakote to prevent rust. 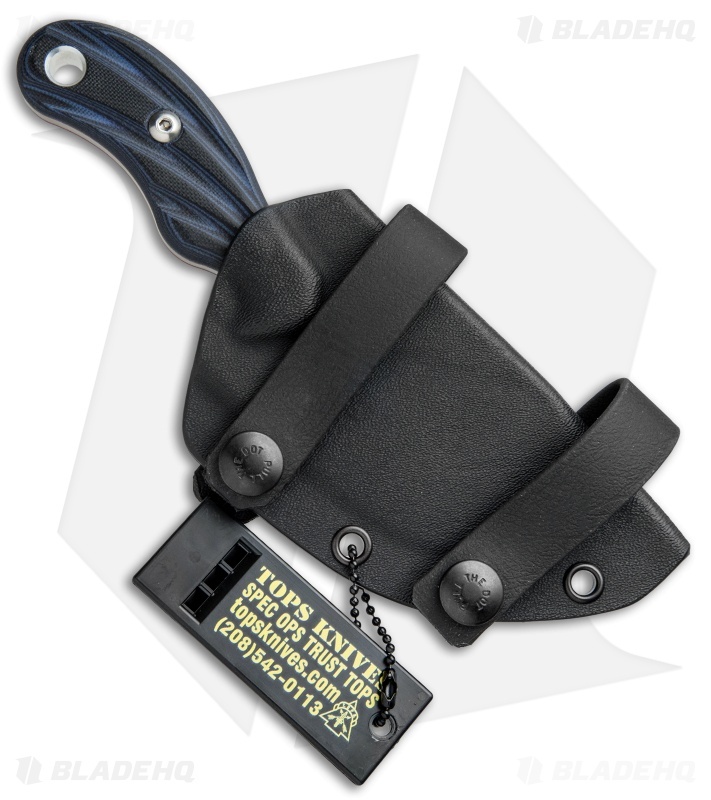 Thoughtfully placed jimping alongside contoured black/blue G-10 handle scales offer superb comfort, control, and a secure grip while skinning. Includes a versatile Kydex sheath for a variety of carry options to fit your needs.